The Craft: A Striking Resemblance. I find it crazy how similar these two photographs are. but I think the eyes of both girls are what makes them so similar. What do you think? 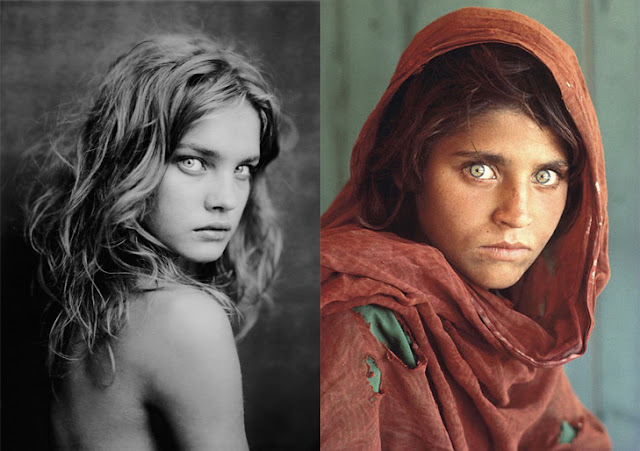 Maybe Natalia Vodianova was inspired by that photo! Yeah but the eyes are pretty similar! OMG yes a real resemblance! WHAT'S AMAZING EYES!! Amazing and scary all at the same time. x hivennn. YES! There is a some resemblance! However, both photos are very fascinating! yess!!! and the cool thing is, natalia's photo was the original! i wish i had those eyes!